Red Carpet Award People Competition PowerPoint Templates And PowerPoint Themes 1012-"Microsoft Powerpoint Templates and Background with red carpet award"-Red Carpet Award People Competition PowerPoint Templates And PowerPoint Themes 1012-This PowerPoint template can be used for presentations relating to-"Red carpet award, people, success, competition, business, events" Our Red Carpet Award People Competition PowerPoint Templates And PowerPoint Themes 1012 help explicit expression. Your thoughts will get across clearly and fully. 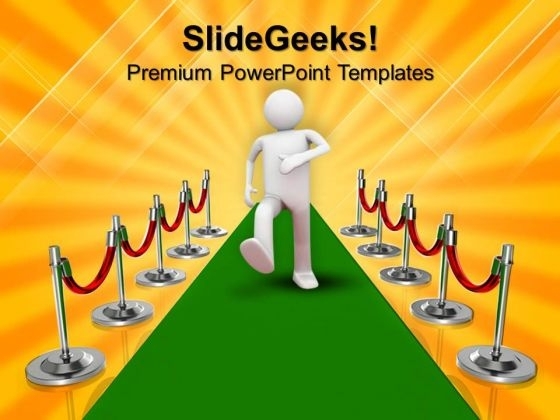 Get in their face with our Red Carpet Award People Competition PowerPoint Templates And PowerPoint Themes 1012. Get your views decidedly across.